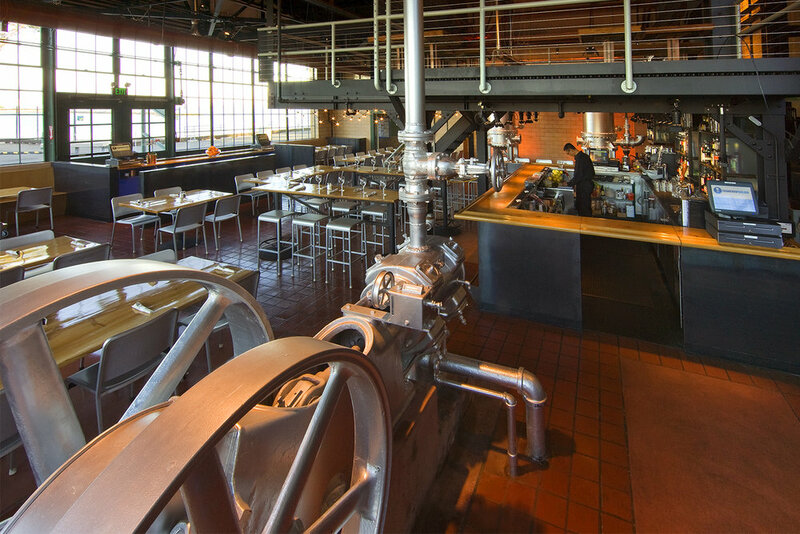 The once earthquake-ravaged 1931 Ford Assembly Building auto plant is an architectural landmark, newly adapted for a variety of industries such as a major solar PV company, sustainable clothing manufacturers, and a recycled glass countertop fabricator. The industrially rugged, light-filled volumes of the nearly ¼ -mile long edifice allured tenants, and the acre-sized Craneway Pavilion made a fantastic public performance venue. 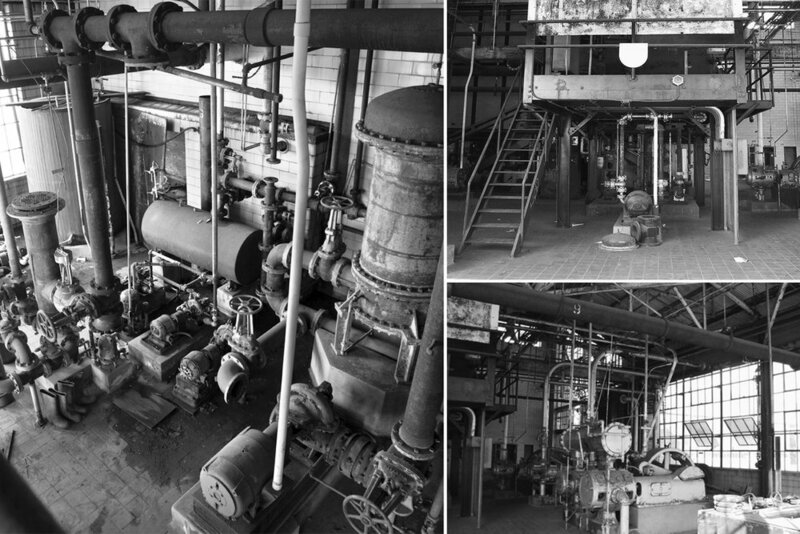 While these adaptive functions made perfect sense – based on the features and configuration of the space - the most challenging question of the Ford’s rehabilitation remained: What to do with the Boiler House? Lodged between the Craneway Pavilion and Assembly Building, and still harboring 1930’s equipment that once burned fuel to heat the old Ford Assembly Building factory complex, the boiler house’s iconic flue gas stack, Escher-esque catwalks and volumetric drama called for a special use. 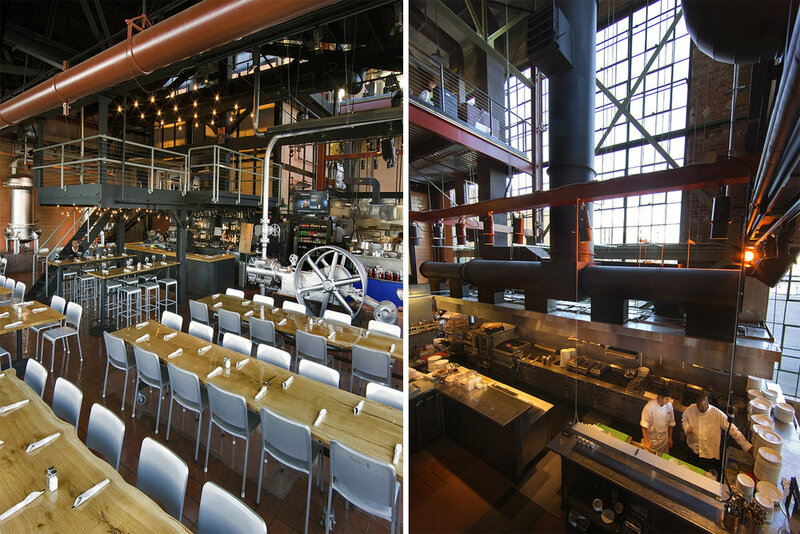 A waterfront restaurant wonderfully fit the needs of both the new community and the region. 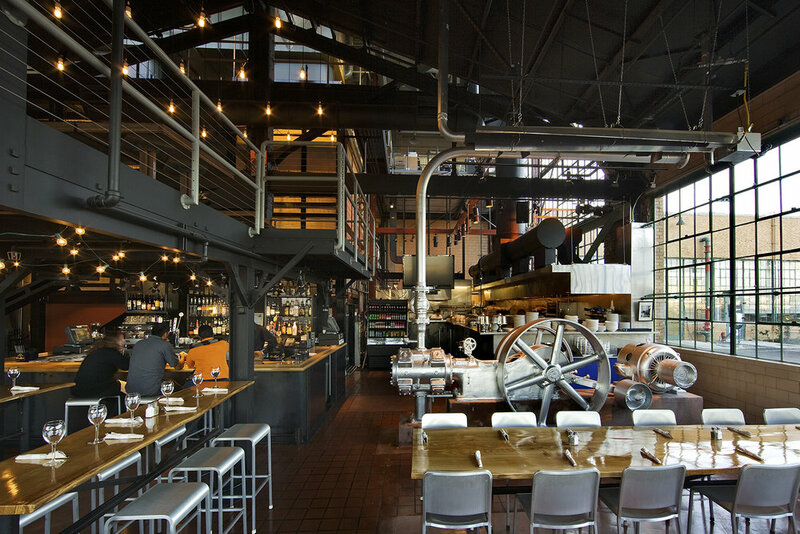 The executed architectural theme exploits the complex’s historic industrial legacy. Original finishes, such as the glazed tile walls, clay tile floors, steel fixtures and finishes were salvaged and patched. 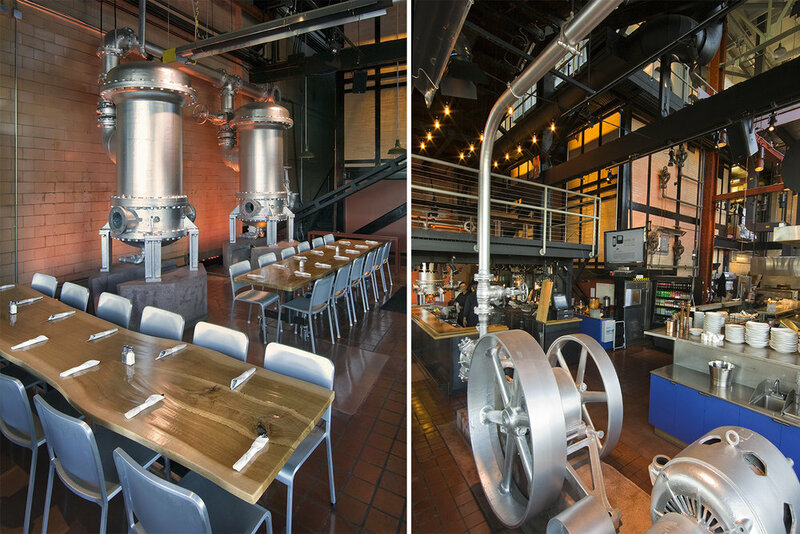 To clear floor space for the dining area and kitchen, the architects salvaged select industrial artifacts as visual sculptures dramatically lit with LEDs, and utilized the underside of an existing raised platform as a shelter for the bar. 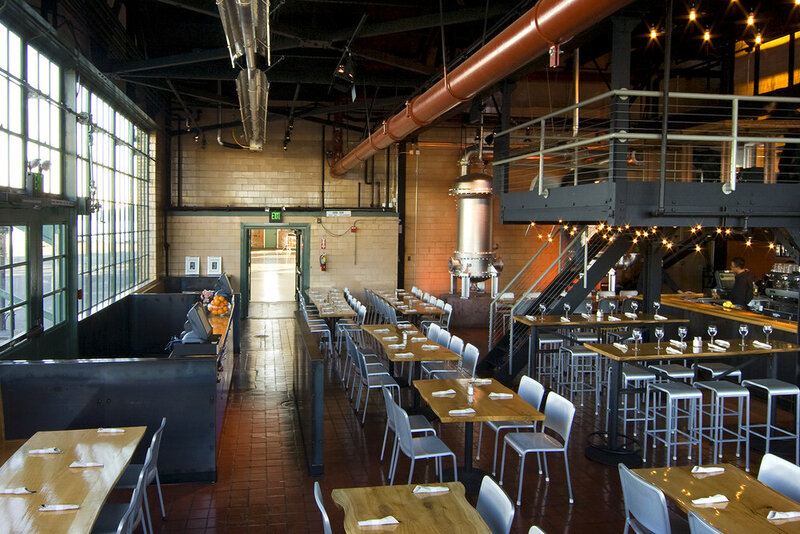 The new construction material palette is consistent with the structure’s industrial heritage: long custom tables with tree slab tops complemented by metal chairs; an oak bar designed atop a blackened steel base; and diamond plate treads leading to the mezzanine over the bar.